Arriving rather unexpectedly this month is the "Ironman" SB Dunk High. 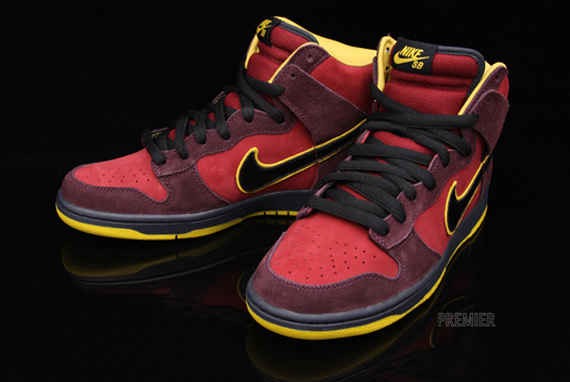 Arriving this month at select Nike SB retailers is the much talked about "Ironman" SB Dunk High." Taking inspiration from the classic Marvel superhero, this Dunk High arrives in an all suede construction, ready to be skated. Burgundy suede works on the toe, eyelets and heel panel, while team red covers the suede toebox, side panel and other areas throughout. 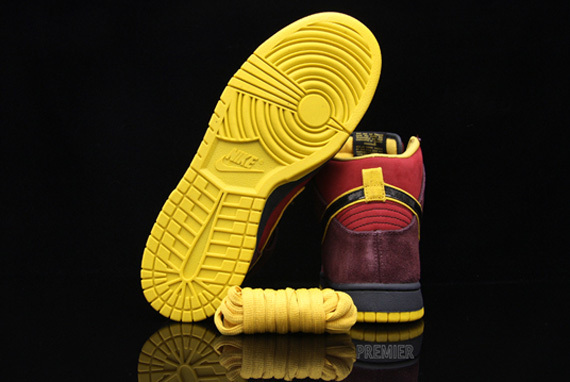 Black and yellow also play a part in the look, combining on the patent leather Swoosh, and once more on the sole below. Black laces are also seen, while yellow caps things off on the sockliner. 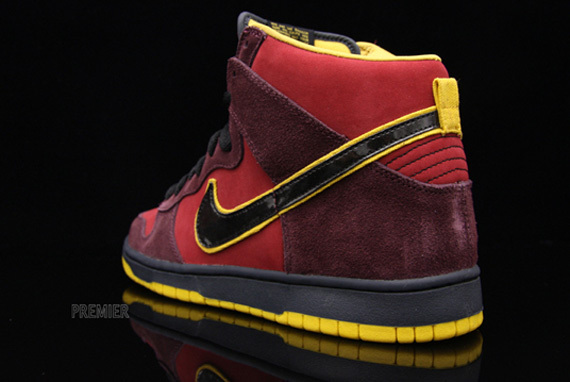 The "Ironman" SB Dunk High has now begun to arrive at select Nike SB retailers.